West Ham has invested over £40m in the three transfer deals they have completed this summer while committing another £35m in wages over the lifetime of their contracts. Ryan Fredericks was a free agent but we paid a combined total of £4m in signing on bonus and agent fees to land the former Fulham man. Issa Diop’s transfer fee from Toulouse was £22m with a further £2.2m signing on bonus plus £4.4m of add-ons based on appearances totalling a potential £ 28.6m. The Lukasz Fabianski deal officially announced this morning will cost the Hammers around £7.5m based on transfer and agent fees. On the wages front, the Hammers have invested around £35m of wages over the life of their contracts on those mentioned above. …which leaves approx £35m, if the reported £75m war-chest is accurate. 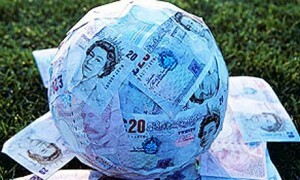 We can add income from sales to that and we can still seek other free agents such as Balotelli and Wilshere for example.